This little one-handed broom makes a sweeping difference in smaller spaces—like home, the car, or the office. 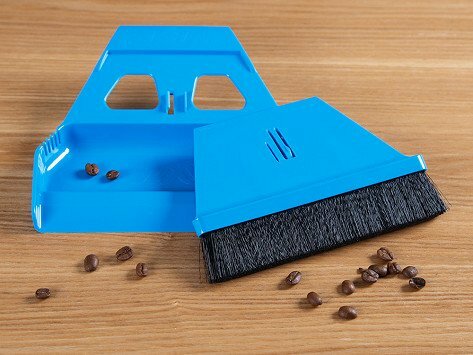 Its low profile is armed with dense, electrostatic bristles that stay flush to the floor while attracting pet hair, dirt, and even glass into the mini dustpan. Sweep thoroughly and with fewer passes. 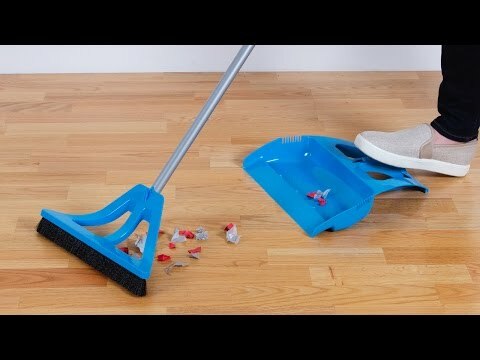 Then snap the broom and dustpan together and stow in the closet (there’s an included wall attachment), glove compartment, or desk drawer. Dimensions: 7" x 6.5" x 1"
The little broom and dustpan is amazing! It works so well! Highly recommend this to everyone!